Chicago police said a woman was sexually assaulted at a Lakeview apartment building Thursday night. 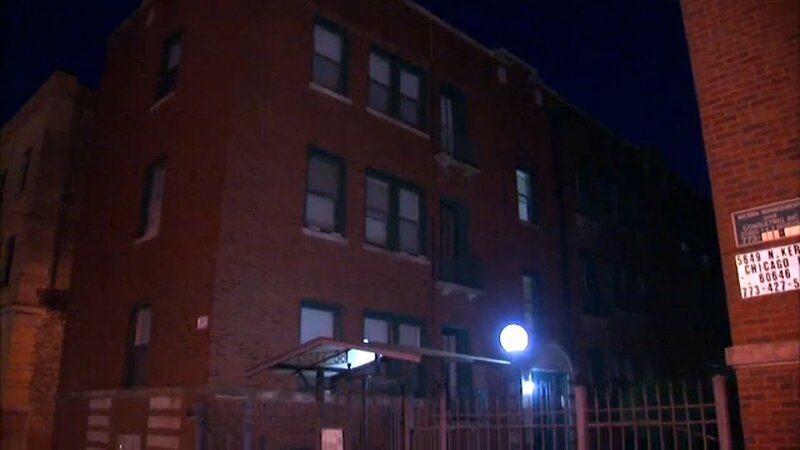 CHICAGO (WLS) -- Chicago police said a woman was sexually assaulted Thursday night in her own apartment complex on the city's North Side. The 24-year-old victim was heading back to her apartment in the 3900-block of North Fremont Street in Chicago's Lakeview neighborhood around 9 p.m. Police said after she walked through the courtyard of her building, the man followed her inside. He allegedly grabbed her from behind and choked her with both arms. She told police she nearly passed out. Police said the suspect then reached down the front of her pants and sexually assaulted her. He stole her wallet and phone and ran away. The suspect is described as a black man between 20 and 30 years old with a dark complexion. Police said he is around 6 ft. 2 in. tall, has short, curly hair and was wearing all black at the time of the attack. Area North Detectives are investigating. No one is in custody. Anyone with information regarding this incident should call 312-744-8261.